This Module is the centerpiece of our application and from here you manage the complete information of the organization, individual departments, designations and organization structure & charts. From here you manage the complete information of all your employees and their complete history with over 400+ individual attributes or data points. This is the module from where you keep of an employee’s complete history and progression in the company from recruitment all the way to their last day with the company and beyond. 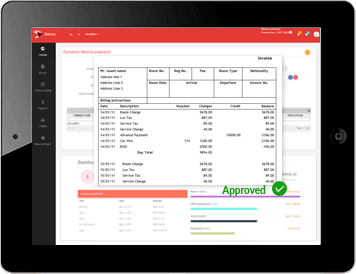 HRMangtaa Payroll Software Module is designed to handle varied types of payroll and business specific rules ensuring all business specific payroll rules can be implemented in the software. Fully integrated with modules like leave & attendance, time & location tracking, claims & reimbursements, loans & advances, bonus, performance management etc. We are the most advanced and comprehensive Payroll software system with dynamic pay slip generation, TDS, PF, ESI etc. with online challan where supported by government. HR Mangtaa helps you streamline your employee’s time tracking and potentially uncover cost savings for your organization. Various flexible shift option, punch option, attendance process available. HR Mangtaa can be incorporated with any Biometric device. Our mobile app also allows you to keep track of your field force through GPS tracking. 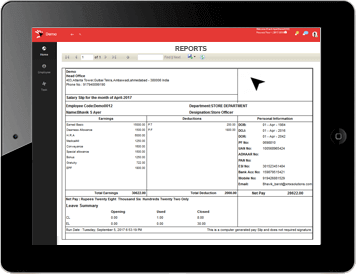 This module helps keep track of company assets like PCs, Mobile, etc. which are allotted to the employees, under whose charge it was allotted etc. Medical, mileage, petrol, travel bills, etc., can be claimed by employees through online or mobile submission via ESS module. 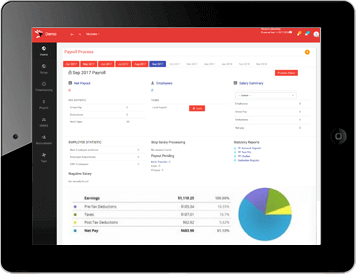 All this is fully integrated with the payroll module making the monthly payment cycle stress and hassle free. This module of HR Mangtaa enables the user to create and manage employee loan and advance policies. Employees can request loans which are then reviewed, approved, and converted to loan agreement which include terms of payment, interest rate, and the life of the loan. 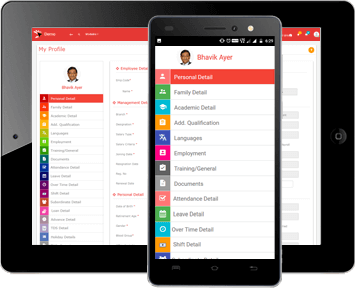 HR Mangtaa’s Employee Self Service module is the web and mobile solution that connects HR with all the employees in the company. The module is the critical interface needed to bring value added services in the hands of the employee such as, Location Tracking, TDS & Tax Planner, Performance Management, Training Management, Onboarding, Skills Assessment etc, , It allows employees to make all requests, view and maintain their investments, pay slips, leaves, tasks, attendance and personal information from their desktops or mobile devices. In short this is the module that helps save HR considerable time by streamlining many processes within the HR function. HR Mangtaa helps HR to create TDS policy for an employee. Our module is seamlessly integrated with the rest of the modules in our Human Resources Management System. Salary information from Payroll & savings information from Employee Self Service are used in Tax Calculation. This module of HR Mangtaa connects employees, managers and HR professionals for real-time collaboration and communication. 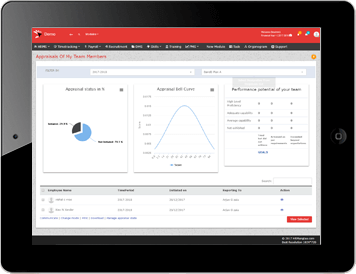 HR Mangtaa PMS Module helps you review and track performance goals of your employees. Module helps organization to identify employee growth opportunities, retention and satisfaction strategies. HR Mangtaa Training module helps user to schedule, track and report on employee training providing real-time visibility into the performance of your training programs. The module is the interface with your organization and potential future employees, in combination with PMS and Skill Assessment you identify organization needs which you then convert to Job Postings, and then monitor the scheduling, interview assessment of each individual to streamline and efficiently manage the complete recruitment cycle. HR Mangtaa onboarding module helps user with an understanding of the values, introduction of the organization and their new role, to involve them into the organization from the very 1st day. It provides a channel to create awareness on how an employee’s job activities impact the overall company and is the 1st step in making new employees feel a part of the organization. 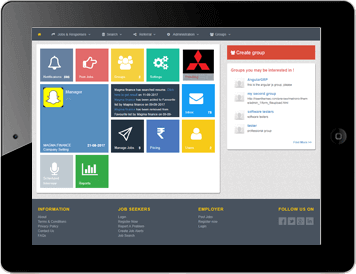 HR Mangtaa skills module allows user to evaluate themselves on skills critical to their individual roles. Their reporting manager would also rate the same, hence creating a Gap Analysis that identifies the difference in employee perception and reality. The module also generates reports at aggregate levels for job profiles within the organization. This is the module that gives organization the tools they need to get a high level understanding of strengths, weaknesses, opportunities and threats. HR analytics is the Business Intelligence businesses need to increase productivity, lower costs and efficiently manage all Human Resources within the organization.